Browse: Home / Mitmproxy v-0.11 released : is an interactive, SSL-capable man-in-the-middle proxy for HTTP with a console interface. Mitmproxy v-0.11 released : is an interactive, SSL-capable man-in-the-middle proxy for HTTP with a console interface. mitmdump is the command-line version of mitmproxy. Think tcpdump for HTTP. libmproxy is the library that mitmproxy and mitmdump are built on. – Intercept HTTP requests and responses and modify them on the fly. – Save complete HTTP conversations for later replay and analysis. 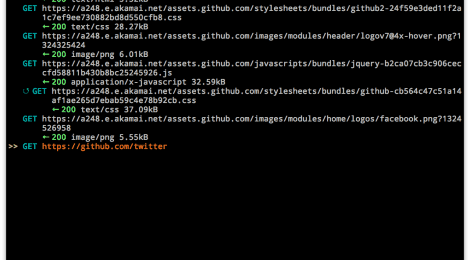 – Replay the client-side of an HTTP conversations. – Replay HTTP responses of a previously recorded server. – Reverse proxy mode to forward traffic to a specified server. 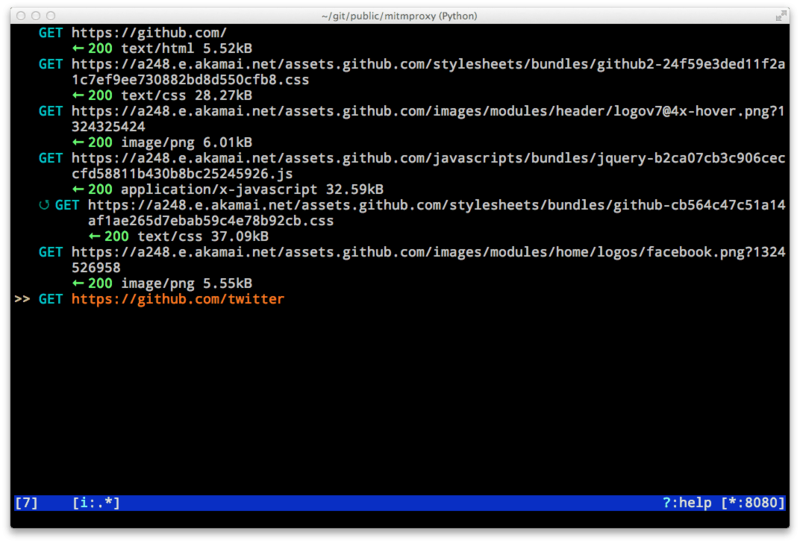 – Transparent proxy mode on OSX and Linux. – Make scripted changes to HTTP traffic using Python. – SSL certificates for interception are generated on the fly. mitmproxy is tested and developed on OSX, Linux and OpenBSD. On Windows, only mitmdump is supported, which does not have a graphical user interface. PyAMF version 0.6.1 or newer. protobuf version 2.5.0 or newer. cssutils version 1.0 or newer. ← Updates Lynis v-1.6.3 : is a system and security auditing tool for Unix/Linux.